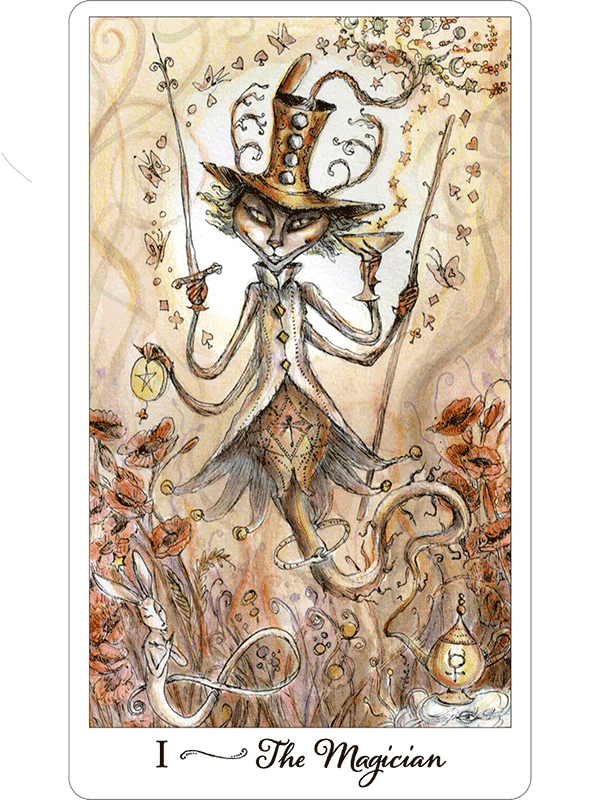 Joie de Vivre Tarot takes place in a wondrous realm of fantastical characters reminiscent of Dr. Seuss and Alice in Wonderland. Joie de Vivre means Joy of Life in French. 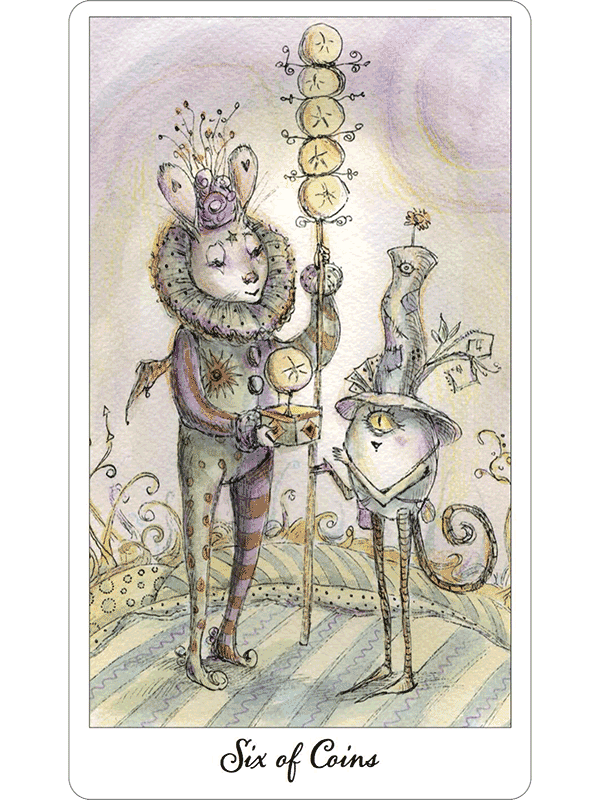 This Tarot is both whimsical and wise, and has a charming zest for life. 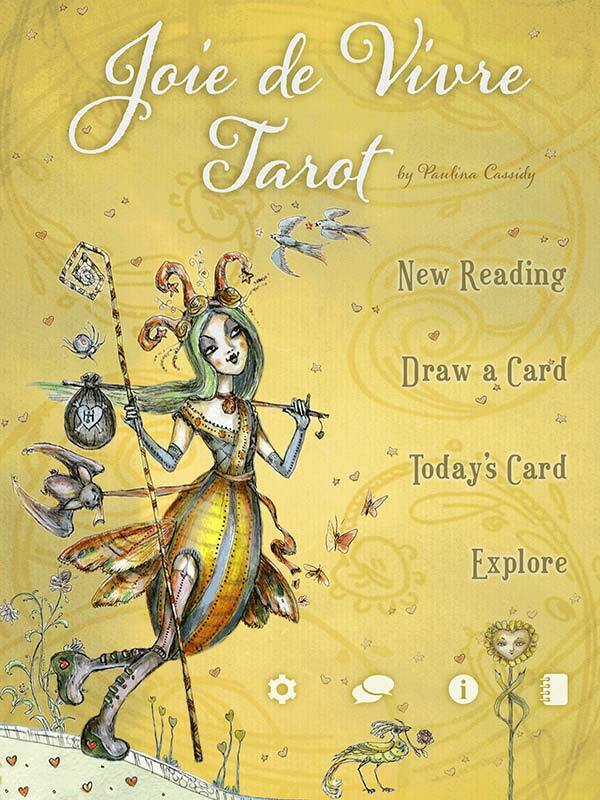 Paulina Cassidy has endowed each character in Joie de Vivre Tarot with a witty and appropriate persona. 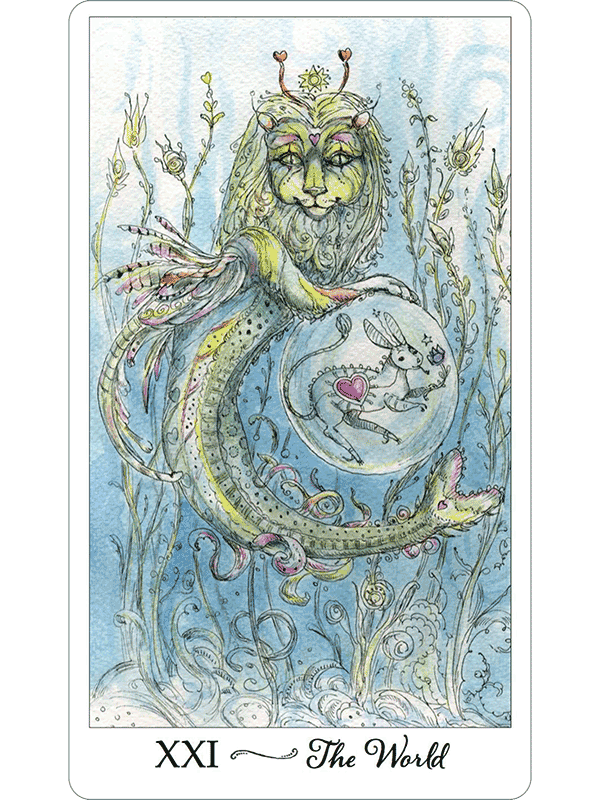 Thus we find Vitality, the winged merlion, as The World, and Benevolence donating to Hopeful in the Six of Pentacles. 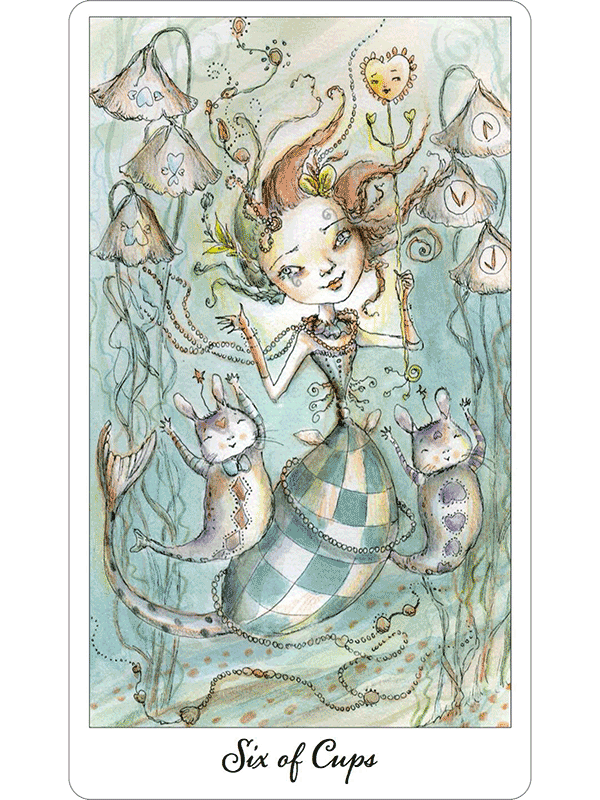 The King of Wands is named Dynamo, and Bliss is the Six of Cups, with her merbunny friends, Charity and Innocence. 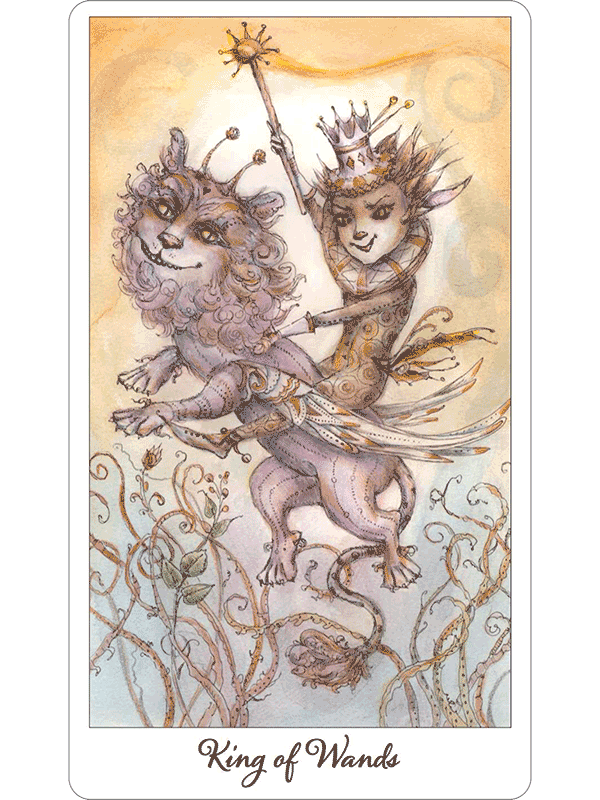 While Joie de Vivre is a good deck for beginners, the deck’s intricate art and succinct wisdom offer lasting insight to the most discerning Tarot readers. Here you will find a joyous exuberance that will inspire you for years to come. © 2012-2017 The Fools Dog. All rights reserved. 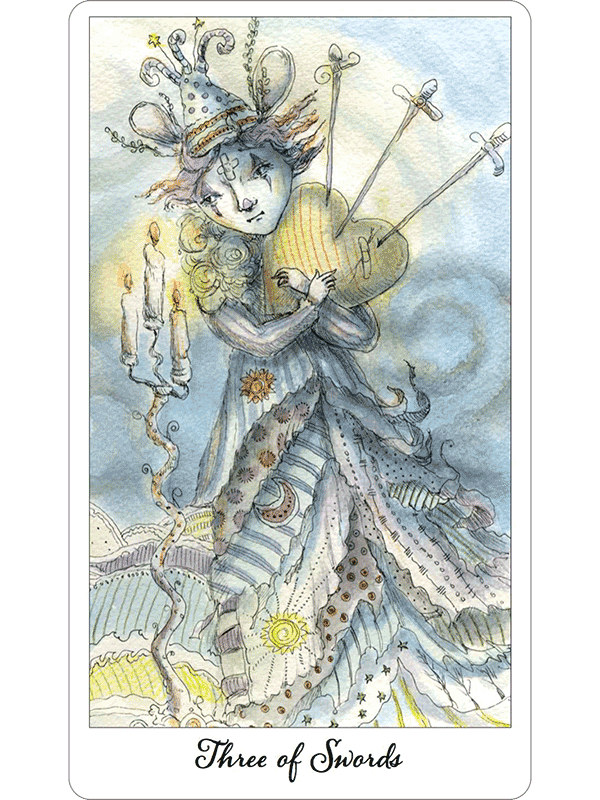 The Joie de Vivre Tarot images and text are copyright © 2011 by Paulina Cassidy.